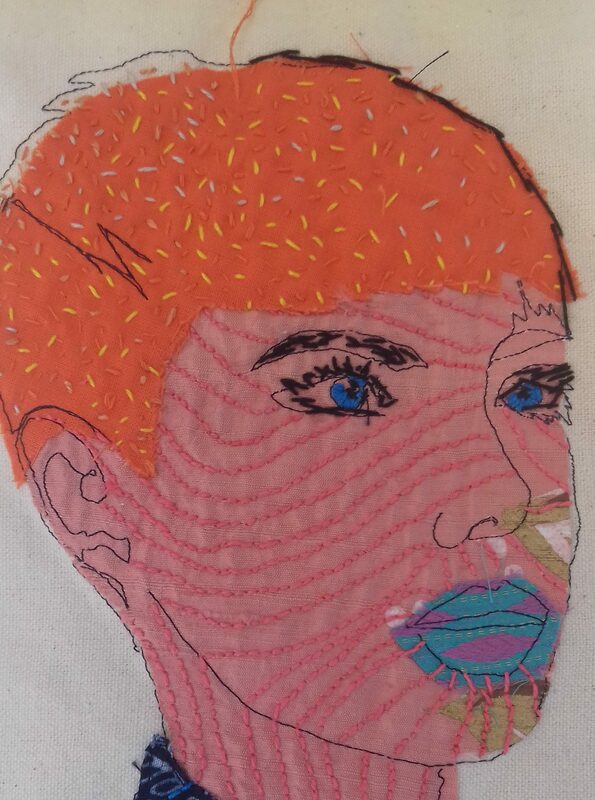 Helen Sill combines a love of drawing with textiles to explore questions of identity and human experience. Surface stitchery and re-purposing of materials are an important part of her art practice. She takes inspiration from stories of every-day-life and explores the spaces where daily life and art meet each other. Images in her work are informed by drawings of her surroundings, tales of human relations, their social context and connections between different communities and cultures. In 2018 Helen was artist in residence at Chichester Festival Theatre where she produced a body of work in response to the theatre and its’ community. She recently returned from travelling around Gujerat in Northern India which has further inspired her practice and curiosity around art and community. She is studying for her Masters in Fine Art where she is researching the effect making has on the self. Helen gives talks about her work and exhibits regularly. She runs community based workshops and sees her self as an ‘artist activist’, helping to bring other people’s stories to life as well as her own. Helen was awarded a Scholarship by the Embroiderers Guild in 2015 and continues to work with the Guild to promote stitch as an art form.